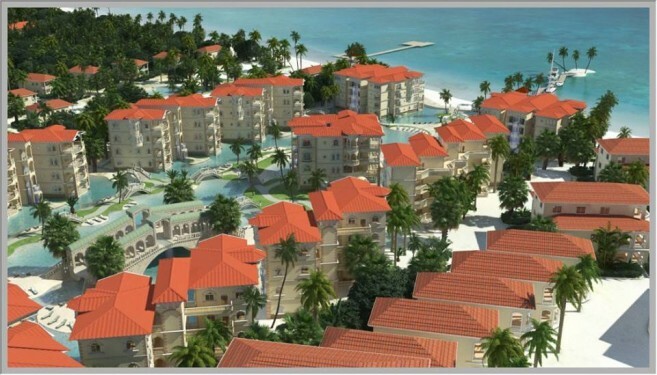 Wyndham Grand Ambergris Caye, owned by Venezia del Caribe Limited (LTD), and developed by Sandy Point Developments LTD, will be the first resort in Belize to fly the Wyndham Grand flag. After unveiling the plans in March 2017, the developers stated that the 242-key hotel is scheduled to open in December 2018. The five-star oceanfront resort is noted as ‘Caribbean tranquility meets Venetian romance and charm’, and is expected to be the benchmark of the luxury market in Belize. As it’s just yards away from Belize’s Barrier Reef, the resort's five towers will offer elegant housing in designs of one, two and three bedroom hotel and residential suites. Wyndham will offer a variety of amenities, including a signature spa, a fitness center, multiple restaurants, 7,000 square feet of meeting space, and an onsite excursion center. Wyndham will feature 11 cascading waterfalls that rise up from sparkling pools connected by bridges and canals, reminiscent of Venice, Italy. The various waterways will create the largest pool of its kind in the entire country, for guests and residents to enjoy. Developers indicate that the resort’s development will provide at least 250 jobs or more, while Wyndham is expected to employ approximately 350 people. Paulo Pena, president and managing director, Latin America and the Caribbean for Wyndham Hotel Group, states that Belize is emerging as an area of interest on traveler’s bucket list. “Thanks to its pristine beaches, celebrated culture, and continuous recognition as a must-visit destination by respected sources like The New York Times, Lonely Planet, and U.S. News & World Report,” said Pena. With overnight visitors hitting a record high in Belize 27last year, Pena stated that they have been seeing an increased demand for first-class, high-end hotel experiences in destinations like Ambergris Caye. He is hopeful that Wyndham will deliver a distinct and unforgettable resort experience for guests alike. Daniel Hartin, owner of Sandy Point Real Estate, stated that Wyndham will be a great way to attract retirees. “With the baby-boomer population looking for new places to retire and major airlines adding more flights to Belize, the area is experiencing a real estate boom,” said Hartin. The Wyndham Grand brand has been increasing across the Caribbean, including the Wyndham Grand Rio Mar in Puerto Rico. New-construction resorts are currently planned for Barbados and Nevis, both of which will be managed by Wyndham Hotel Group upon opening over the next two years. Wyndham also has its own one of a kind hotel rewards program. Ranked number by U.S. News & World Report for 2016-2017, the program offers the opportunity to earn and redeem points at more than 25,000 hotels, condos and homes globally. It offers its 49 million members a generous points earning structure along with a flat, free-night redemption rate. Wyndham Hotel Group, hotel giant with an unmatched global presence, is one of three hospitality business units of Wyndham Worldwide. Driving the democratization of travel, Wyndham Hotel Group is elevating the experience of the everyday traveler, changing the game so every traveler, regardless of how much they spend, can have an extraordinary experience. As both a leading hotel brand franchisor and hotel management services provider, the company's global portfolio consists of more than 8,000 hotels and over 697,600 rooms in 77 countries. What’s New: Welcome to Sergeant Duke’s Beachside Grill & Bar!